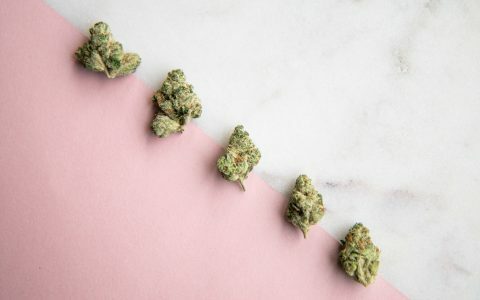 Shoppers in California can vote with their dollars for equitable cannabis this Christmas at Blunts & Moore, the first dispensary to open under the city of Oakland’s revolutionary new social equity rules. 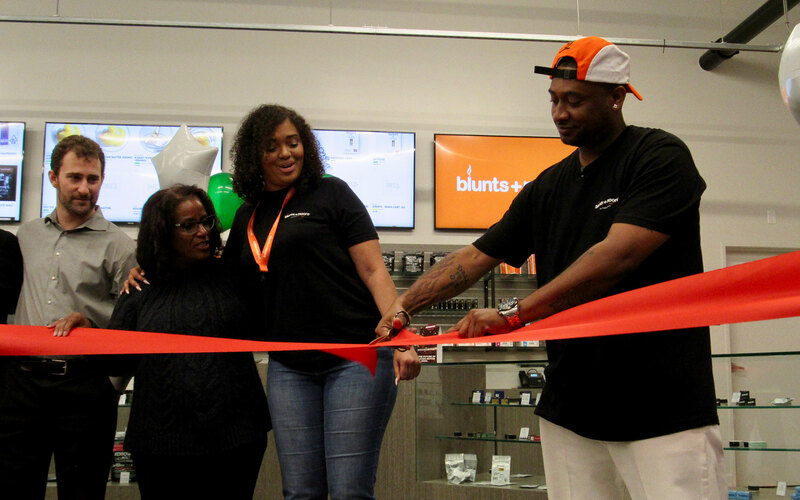 Alphonso T Blunt, Jr. and partner Brittany Moore cut the red ribbon Thursday on the sleek, new retail store near Oakland’s Oracle Arena, drawing local officials, neighbors, media, and friends for speeches, hip hop beats, and tacos. Blunt—a 31-year-old, fourth-generation Oaklander—sold weed since he was 16. 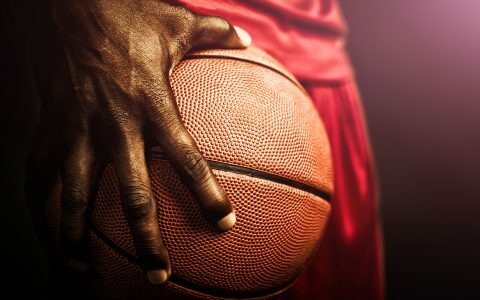 In 2003, his wholesale dealer snitched on him, and he got five years’ probation for a marijuana felony. That felony conviction made Blunt eligible for fast-tracked, adult-use licensing under Oakland’s May 2016 equity law. Blunt heard of the program in October 2017, and a friend linked him up with Moore, an Atlanta native with experience at Morgan Stanley bank. “As soon as I heard ‘Blunt and Moore,’ I knew we were going to be a success,” said Blunt. Dream Team: Oakland assistant to the city administrator Greg Minor, councilmember Desley Brooks, Brittany Moore, and Alphonso Blunt cut the ribbon Thursday. 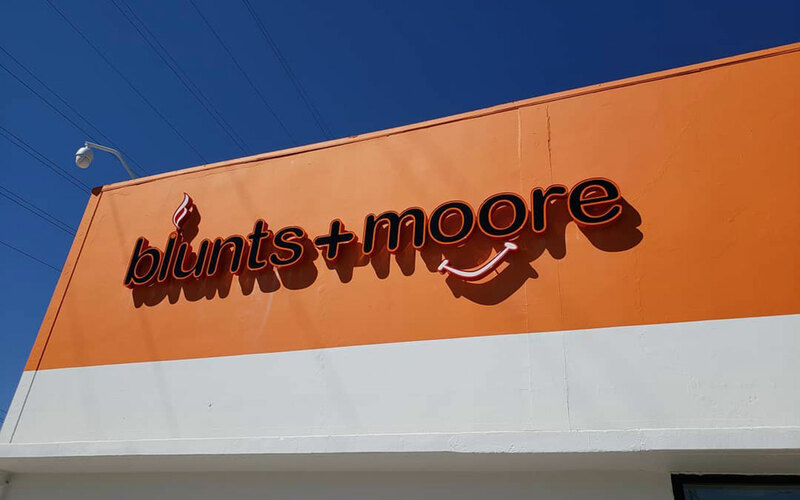 A San Diego-based investment, construction, and cultivation group negotiated a deal to lease retail space to Blunt and Moore plus provide financing and professional services. 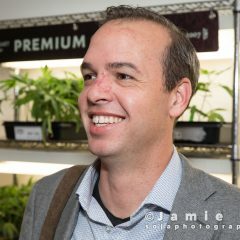 In exchange, Grizzly Peak Farms received the first adult-use cultivation and distribution license in Oakland. Just a frisbee disc’s toss across a six-lane highway from the Golden State Warriors’ current home, Blunts & Moore has a bright, clean, minimalist look evoking a national chain. The 30 employees inside are 90% Oakland residents. Thursday, they staffed nine registers on the polished, concrete sales floor. The white walls smelled freshly painted, and guests kept their scarves on in the cool space while a DJ mixed Talib Kweli on the PA. 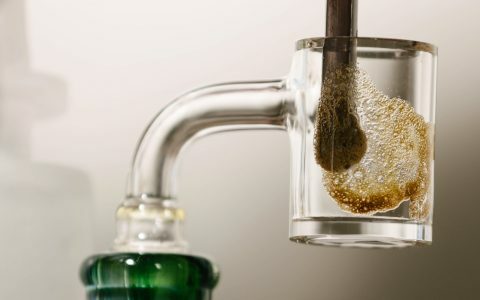 The club’s more than 500 products include Northern Emeralds flowers, Guild extracts, and Korova edibles. Priced to move Thursday: $21 eighths of Fire Sale, a greenhouse-grown, Monterey County brand with rocking Strawberry Banana and GG#4. Buy two, get one for a penny. 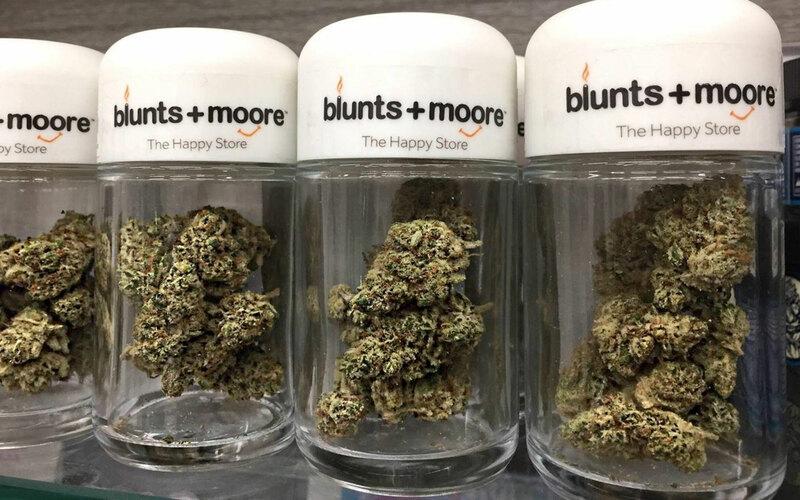 Blunts & Moore aims to compete on price, quality, and service, he said. Eighths that are $75 elsewhere will be $55 at Blunts & Moore. Retired from the illicit market, Blunt wiped off tears talking about how the store’s soft opening drew all his old customers and friends. Blunt eventually wants a NASDAQ listing and a nationwide franchise. 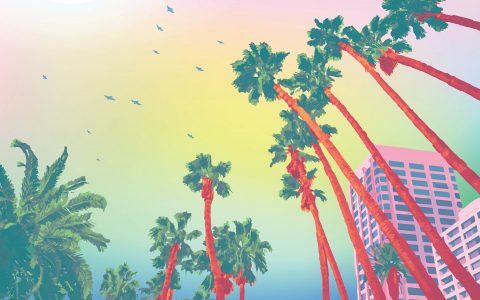 “Equity needs to be in every city they have cannabis,” he said. 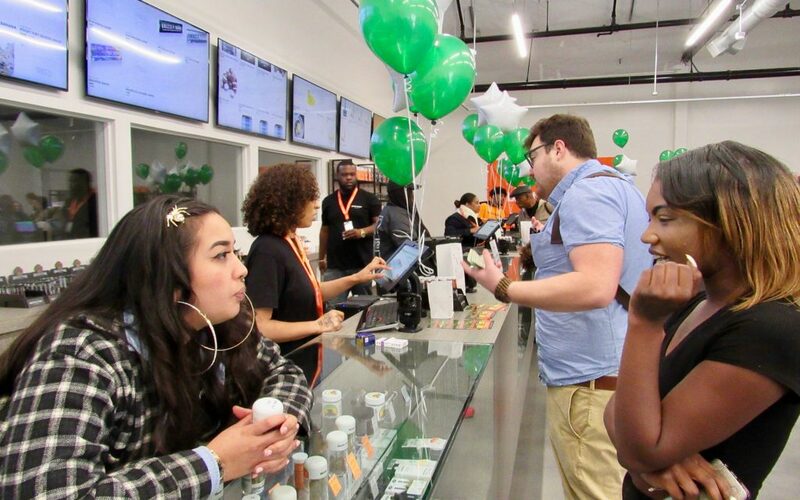 More than two years after California voters legalized cannabis in 2016, there are only six operating adult-use cannabis retailers licensed in Oakland, a city of 425,000 people. A seventh store, Oakland Organics, is set to re-open at a new location on Shattuck and Alcatraz St. in January. An eighth store, Telegraph Health Center, remains medical patient-only. Seven other approved retail stores need locations and permitting, said Greg Minor, assistant to the Oakland city administrator. Minor said the seemingly slow approach is the right one. Inequality in mainstream capitalism has come to newly legal cannabis. “This is what equity looks like,” added Oakland councilmember Desley Brooks creator of the equity program. Indeed, Brooks’ only-in-Oakland idea has spread nationwide, becoming law in Massachusetts and Maryland. 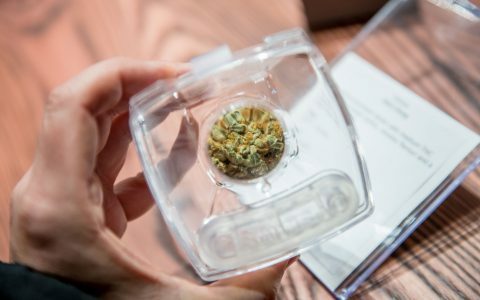 No longer an afterthought, equity programs are a starting point for the next legalization referendums. In California, Oakland’s effort helped inspire a successful effort to establish a statewide equity program. Gov. Jerry Brown signed the California Cannabis Equity Act into law in September. Malcolm Turner, a 31-year-old black Oakland resident and a Blunts & Moore cashier, saw his hiring notice on Instagram. Turner came in without a resume—he was driving by anyway—and met with Matthew Yamashita from Grizzly Peaks and Moore. “Everybody’s real cool,” he said. Businesses run by locals, that hire locals, contribute much to a community. Kudos and much prosperity to Blunts and Moore. As a local company we are stoked to hear this! Yay Oakland. We will be visiting soon. Congratulations! Here’s to your continued success.